If you want to realize just how much the skilled one off cleaning will cost you - contact our 24/7 customer support operators straight away. They will give a free offer for the cost per hour. Phone 020 3746 1366 or send an online query here. Ashlee House Cleaning is a professional cleaning services supplier that is preferred by an expanding number of private and business customers in the market. One of our most preferred service is the excellent one off cleaning service. We carefully pick and background check all of our one off cleaners Highwood Hill N20. They are all diligently prepared to use our modern professional cleaning machines and Prochem certified treatments, in accordance with our cleaning quality methods. We assess all our cleaners regularly and their performance is closely examined by our quality operators. We deliver high quality cleaning at the very best one off cleaning price in the area. We also have an appealing discount scheme for customers who book more than one of our services at the same time. Therefore, regardless of what cleaning task you want done - make sure you reserve our one off cleaning service, and we will carry out the cleaning for you at a great cost! We understand that most people rarely have enough time, the know how or the strength to carry out an ideal spring cleaning Highwood Hill N20. For this reason, we offer you a unique and inexpensive one off cleaning service, that is particularly beneficial and popular throughout spring cleaning period. Our team of cleaners will clean every room or piece in your home or office, based on your needs and on the time you have scheduled. You can pick which elements of the residence you want cleaned with the specific one off cleaning register that we have created following years of encounter in the professional cleaning industry. 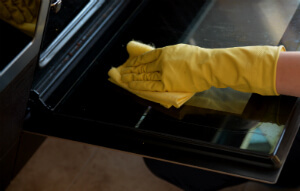 We will clean your entire home, just one area, or even just one kitchen device, in compliance to your demands. Our cleaners will discuss your focal points and will explain to you which cleaning assignments will be done for the amount of hrs you have reserved.